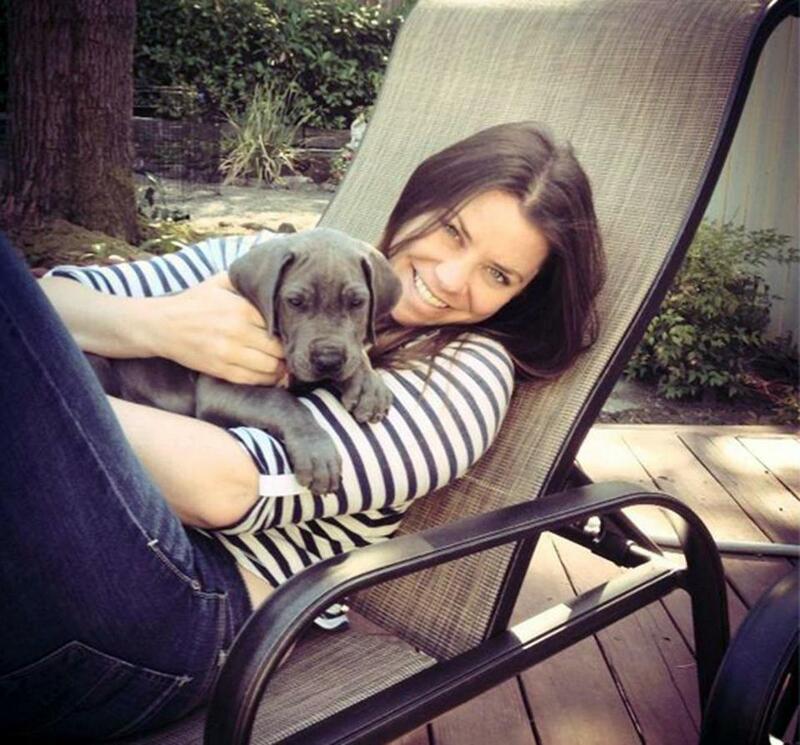 Brittany Maynard, who is terminally ill, moved from California to Portland, Ore., to take advantage of Oregon&apos;s “Death with Dignity” Act, which was established in the 1990s. Brittany Maynard intends to die shortly after her husband’s birthday at the end of October. On the day of her choosing, she is electing to take prescribed medication that will end her life. Maynard, a 29-year-old California native, was diagnosed in April with glioblastoma multiforme — fatal stage 4 brain cancer — and given six months to live. Maynard made a decision. She chose to move with her family from the San Francisco Bay area to Portland, Ore., because of Oregon’s “Death with Dignity” act, she explains in an article she wrote for CNN as well as in an online video she filmed to raise awareness about the law. When Maynard was first diagnosed with brain cancer on New Year’s Day, she was told it was grade 2. She describes undergoing surgery, believing that she would have up to 10 years left with that diagnosis. But in a matter of three months, the tumor grew significantly, leading to her final prognosis. Maynard has launched a campaign to advocate for the need to expand “Death with Dignity” laws nationwide. In 2012, a proposed “Death with Dignity” act in Massachusetts was narrowly defeated. In Maynard’s video, she talks about her journey and her decision to take her own life. ‘‘Right when I was diagnosed, my husband and I were actively trying for a family, which is heartbreaking for us both,’’ says Maynard in the video. Under the “Death with Dignity” law, terminally ill, mentally competent adults diagnosed with six months or less to live could obtain a fatal prescription that they would administer themselves. Maynard, a newlywed who first began experiencing debilitating headaches soon after she was married, decided to pursue the aid-in-dying option after researching hospice and palliative care in California. ‘‘Between suffering or being allowed to decide when enough is enough ... it provides a lot of relief and comfort that, OK, that option is there if and when we decide, or she decides, that it’s time,’’ says Maynard’s husband, Dan Diaz, in the video. Maynard, described by her mother as having an adventurous spirit, says she intends to travel as much as she can, hopefully making it to the Grand Canyon because she’s never been. She plans to celebrate with her husband on his birthday. On her final day — the day she chooses to ingest the lethal drug — she will be in the bedroom she shares with her husband, with music she likes playing, surrounded by Diaz, her mother and stepfather, and her best friend, who’s also a physician, she says. “Death with Dignity” is legal in Washington, Montana, Vermont, New Mexico, and Oregon. • 4/29/2012: Should people have the right to die?